In order to understand the origin of the National Sunday law, one must go back to the turbulent 1840s. This was an era of unprecedented religious controversy in the Northeastern United States. The controversy centered around the timing of Christ's return. It all began when a farmer-turned-preacher named William Miller set out on a campaign to warn communities in his region that, according to his calculations of Bible prophecies, Christ's return was imminent. As Miller's popularity grew, other end-time revivalist preachers jumped on the band-wagon to spread the cry of alarm. Although Miller and his associates suffered a serious setback when Christ failed to return as predicted in 1843, it was soon discovered that a "mistake" had been made in Miller's calculations. After some discussion, a new date of October 22, 1844, was finally agreed upon by Miller's colleagues. Once again, the leaders of the movement went around to whatever churches and communities would still accept them, and tried to rouse people with the warning of Christ's imminent return. Concerned pastors began warning their flocks of the deceptions and falsehoods of Miller's teachings. As Christians became more widely aware of the serious errors in Miller's teachings the churches began closing their doors to him. Accusations began to fly between the two groups and antagonism reared its ugly head. Millerites claimed that the non-Millerites did not want the Lord to return, while the non-Millerites derided the Millerites as deluded fanatics. Some Millerites who were members of mainstream churches made such a nuisance of themselves that their churches felt compelled to expel them from their congregations, creating animosity on both sides. Although William Miller initially captured the attention of some Christians in the early 1840s, by 1843 the movement had begun to crumble. As Bible scholars exposed the errors in Miller's proofs the tide began to turn against him and his fanatical teachings. Pastors were so successful in exposing the flaws in Miller's teachings that the movement began losing momentum. Miller's efforts to recruit new adherents to his doctrine were thus stymied and he and his associates reacted angrily. They denounced the Christian churches as "fallen Babylon," falsely accused them of not desiring Christ to return, and they withdrew themselves from the Christian churches and began meeting in homes and rented halls. Bitter animosity blossomed between the two groups with each side deserving part of the blame for the ensuing hostility. As the projected date for Christ's return approached, many Millerites sold their farms and businesses and invested their life's savings with Miller and his associates to spread the message of Christ's soon return. By October 22, 1844, the movement had managed to garner close to 50,000 followers, almost entirely in the northeastern United States. As with all fanatical movements, this movement appears to have held a special attraction for the uneducated, the young, and those prone to follow after the latest religious excitement. When the October 22, 1844, date passed without event, Miller's followers were severely disappointed. Many had suffered financial loss and ruin. Many had sold their means of making a livelihood. Now they were poor, destitute, and miserable. There were some who were so devastated that they committed suicide. The movement disintegrated and Miller finally admitted he was in error. His followers gradually began returning to their former churches. However, there was a small group that refused to return to their former churches for various reasons. Some were not ready to swallow their pride and return to churches they had so recently condemned as being synagogues of Satan. Some did not desire to face the censure and reprimands of their former brethren. These people began forming their own churches which eventually became known as the Adventist churches. The split between the "Adventists" and the "non-Adventists" would form the foundation upon which the Sunday law teaching would later be built. After the Disappointment, the "Adventists" needed an issue upon which they could differentiate themselves from other Christians whom they referred to as Babylon. It was here that Joseph Bates stepped in and made his mark in Adventist history, developing a doctrine which would eventually lead to the National Sunday Law teaching. One small group of Adventists was led by sea captain Joseph Bates. Bates felt burdened to understand the reason for the great disappointment of 1844. So he began studying Bible prophecy. Having no formal training in the principles of Biblical interpretation, Bates took an approach that differed widely from traditional scholarly work. For example, Bates took non-prophetic passages of the Old Testament and "discovered" end-time prophecies in these passages. He also assumed that the Book of Revelation was unfolding in the events of the Millerite movement. Bates learned about Saturday being the Sabbath from a tract written by a Millerite preacher named Thomas M. Preble. Preble is thought to have learned it from Rachel Oakes, a Seventh Day Baptist. When Bates learned the true day of worship was Saturday, not Sunday, he finally discovered what he believed to be a credible reason for why Adventists had been separated from the other Christian churches. They had been separated so that they could more readily adopt the Sabbath teaching of the Seventh Day Baptists. Bates' bitter animosity against the mainstream Protestant churches is evident as he uses the derisive terms "desolate," "confusion," and "unrighteous" to describe them. Amazingly, Bates decreed the Protestant churches to be Babylon simply because they rejected a message that even the originator of the message himself admitted was a falsehood! In essence, Bates was claiming the Protestant churches were lost because they had rejected a false teaching! Somehow, in Bates' mind, those "seven spots of blood" on the altar became seven years. It is impossible to rationally explain how Bates came to this conclusion! Following in the footsteps of William Miller's questionable Bible scholarship, Bates apparently had his own methods of interpreting the Bible which remain a mystery to this day. At the culmination of this seven-year period, in 1851, Christ would return to the earth. Those who accepted the Sabbath would receive the "Seal of God" and would be saved. Those Adventists who rejected the Sabbath would rejoin the Sunday keeping churches and receive the "Mark of the Beast." Bates' teachings on the Seal of God and Mark of the Beast would later become the foundation of Seventh-day Adventist doctrine on end-time events. Bates' interpretation of the three angels' messages (Rev. 14) forces him to the conclusion that the keepers of the commandments of God did not exist before 1844. This ironic conclusion ignores the fact that Bates himself learned about the Sabbath from the Seventh Day Baptists, a large group of Christian Sabbath-keepers who were presenting the "message" of the Sabbath to Sunday-keeping Christians for over 100 years! Joseph Bates: Can you trust this man's prophetic theories? Let us review what we know about Joseph Bates and Bible prophecy. He claimed that 7 drops of blood on the alter in Leviticus 17 indicated that Adventists were going to go through 7 years of testing on the Sabbath truth. At the conclusion of that 7 years, in 1851, Christ would return to take home those Adventists who had the Seal of God (Sabbath observance). He claimed that minor disasters that occurred in the late 1840s were signs of the imminent end of the world. He claimed the gospel message for the lost ended in 1844. How can we possibly trust a man who developed such warped and perverted understandings of Bible prophecy? Yet astonishingly enough, Bates' teachings became the foundation upon which the Seventh-day Adventist doctrine of the National Sunday Law would later develop! Any Adventist will recognize that Bates' teachings about Babylon, the Sabbath, the Seal of God, the Mark of the Beast, and the "remnant" are the same prophetic teachings that form the core of Seventh-day Adventist Bible prophecy.19 Bates laid the foundation for the National Sunday Law teaching and later Adventists have built upon his foundation. Naturally, these bizarre teachings generated some resistance from the Christian churches in the 1840s. This resistance was interpreted by Sabbath-keeping Adventists as persecution and yet further evidence that the Christian denominations were fallen and lost. 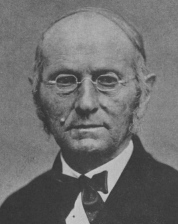 Bates' theories were easily shot to pieces by Biblical scholars, and the Sabbath-keeping Adventists gained few adherents. Bates needed some help to keep his sinking theories afloat and he soon found the help he needed in the young and impressionable prophetess Ellen G. White. "The reason for their dismissal was not that they preached the second coming of the Lord Jesus Christ. That is a tenant of our orthodox faith which is confirmed from the Articles of Religion 1784.Their dismissal was occasioned by their breach of discipline in proclaiming the views of William Miller's time-setting. It was not long before Ellen White and Joseph Bates had linked up in their battle against the hated Sunday-keeping churches. Although Biblical evidence for Bates' teachings was severely lacking, the deficiency of inspiration was soon supplied by Sister White, who began having "visions" supporting the theories Bates had fabricated. Although the "visions" were merely repetitions of what Bates had already been promulgating, this put the prophetic seal of approval on his teachings. Bates, although initially skeptical of the young visionary, finally decided to accept the prophet whose visions so closely resembled his writings. This acceptance gave the Whites a much-needed boost in their own efforts to establish Sister White's claim to be the Spirit of Prophecy of the book of Revelation. By 1850, Bates, Ellen White, and her husband James White had managed to convince several hundred followers that Bates' teaching about the Sabbath was God's last message to the world. However, the group fell on hard times in 1851, when Christ failed to materialize as Bates had promised. As the date approached and it became increasingly obvious Christ was not coming, the Whites began distancing themselves from Bates. When 1851 passed without event, the Bates and the Whites suffered a humiliating defeat. The Adventists began turning against Bates and the Whites. They questioned how a prophet of God could not have foreseen how Bates was wrong about the 1851 date. The Whites, disappointed that many of their followers had turned against them, decided to put some distance between Bates and themselves, and so they moved to the Midwest where they were not so well known. As Bates faded into the background, the Whites took charge of the work and managed to gather a small following and formed the Seventh-day Adventist Church in 1863. In Ellen White's mind the non-Adventist Christian churches were full of sin. In her mind, their worst enemies were not atheists, pagans, and infidels. Their worst enemies were Sunday-keeping Christians! While this is certainly a creative scenario, Mrs. White gives no Bible evidence for this new scenario, nor does she explain how killing the Sabbath keepers could prevent the nation from being thrown into confusion and lawlessness. The assumption here being that political leaders stop thinking rationally during a crisis and pass laws which make no sense to anyone. While it made sense to few, if any, outside the SDA Church, the followers of Ellen White gobbled it up and the unlikely scenario eventually found its way into the prophet's major book on end-time events, the Great Controversy. Thus we find the doctrine of the Sunday Law continually evolving and changing over the years to meet the particular challenges of that generation. 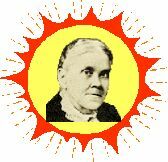 After the death of the prophetess Ellen White in 1915, the position of the church on the National Sunday Law became frozen, and has remained relatively unchanged. This is understandable, since there is no longer anyone with prophetic authority in the church to modify the teaching. Although with every passing year, the outmoded teaching becomes less and less believable, the SDA Church continues to teach the same doctrine today that was taught in the early 1900s, albeit with less fanfare and languishing enthusiasm. 1. Ronald Numbers and Jonathan Butler (editors), The Disappointed, p. 197. 2. William Miller, Voice of Truth, Dec. 11th, 1844, as quoted in Joseph Bates, Second Advent Waymarks and High Heaps, p. 86. 3. Joseph Bates, Ibid., p. 69, 70. 5. Joseph Bates, The Typical and Anti-typical Sanctuary, pp. 10-13. 6. Second Advent Waymarks and High Heaps, p. 114. 18. Second Advent Waymarks and High Heaps, p. 110. 19. Adventists continue to teach Bates' theories regarding the Sabbath, the Seal of God, the Mark of the Beast, and the "remnant" in the year 2007 as presented in their "Revelation Seminars". Many Adventists are not aware that Joseph Bates is the originator of these teachings. 20. Letter to Mr. Keith Moxon from the Chestnut Street United Methodist Church, June 3, 1988, sourced from Truth or Fables web site. 21. Ellen G. White, Early Writings, pp. 229-249. 24. Ellen G. White, Testimonies, vol. 4, p. 13. 25. White, Early Writings, p. 274. 27. Ellen White, Spirit of Prophecy, vol. 4 pp. 425, 444. 28. Ellen White, Historical Sketches, p. 156. See also "Special Testimonies on Education", p. 99: "The time is not far distant when the laws against Sunday labor will be more stringent" (Feb., 1894). 29. Ellen White, Southern Watchman, June 28, 1904. 30. Ellen White, Youth Instructor, Jul. 12, 1904: "When the Sabbath becomes the special point of controversy throughout Christendom, the persistent refusal of a small minority to yield to the popular demand will make them objects of universal execration. It will be urged that the few who stand in opposition to an institution of the church and a law of the state, ought not to be tolerated; that it is better for them to suffer than for whole nations to be thrown into confusion and lawlessness. This argument will appear conclusive; and against those who hallow the Sabbath of the fourth commandment will finally be issued a decree, denouncing them as deserving of the severest punishment, and giving the people liberty, after a certain time, to put them to death." 31. Ellen White, Great Controversy, p. 604, (1911). 32. Ellen White, Prophets and Kings, p. 512.